If you're looking for a place to celebrate Christmas the way it should be - togetherness and sharing in a perfectly festive setting, look no further than your nearest Ayala Mall. First up, Christmas Shopping made more convenient and fun with these fine selections of gifts and pop-up displays at all the different Ayala Malls nationwide. At Trinoma, take your kids to this interactive Christmas Village by Henry Pascual that will be up from November 7- January 15. It's a great place to explore, play and take pictures in between shopping breaks. Be entertained as you sip your coffee or have dinner on December 6,13, 20 and 27 for Yuletide Rhythms: Concerts at the Park and Fireworks Display, 7 and 8pm at the Level 4 Garden Restaurants. And of course, a favorite Filipino tradition, "Simbang Gabi" will also be held every 6pm at the Chapel of St. Michael from December 16-24. Shop for delicious gourmet baskets to give as gifts this Christmas at Market!Market! 's Chef's Lane. 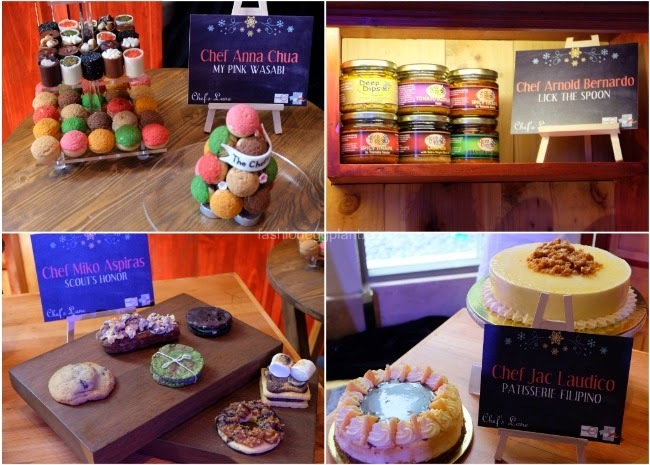 Special delicacies prepared by Chef Anna Chua of My Pink Wasabi, Chef Arnold Bernardo of Lick The Spoon, Chef Miko Aspiras of Scout's Honor, and Chef Jack Laudico of Patisserie Filipino are beautifully packed and presented to give as instant presents that everyone will appreciate. FOOD - Food bloggers Lori Baltazar (of Dessert Comes First) and Xandra Rocha (of Something To Chew On) share their favorite Holiday Food Choices for Family and Friends. 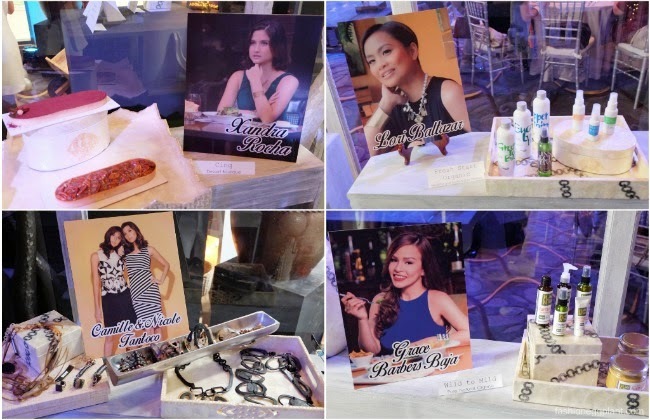 FASHION - (forever girl crush) Martine Cajucom shares her Fashion Finds for Girlfriends: Nicole and Camille Tantoco and their Top Accessory picks. HOME - Grace Barbers Baja of the Spoiled Mummy share her top home gift ideas for Christmas. You can catch this display from December 1-31 at the Palm Drive Lobby of the New Glorietta. Greenbelt pulls out all the stops this Christmas beginning with this Glass House and a Silent Auction that will be held on November 19, 2014 to raise funds for Habitat for Humanity, CENTEX and The Sibaltan Women through Ayala Foundation, Little Sisters of the Poor and the Missionaries of Charity. 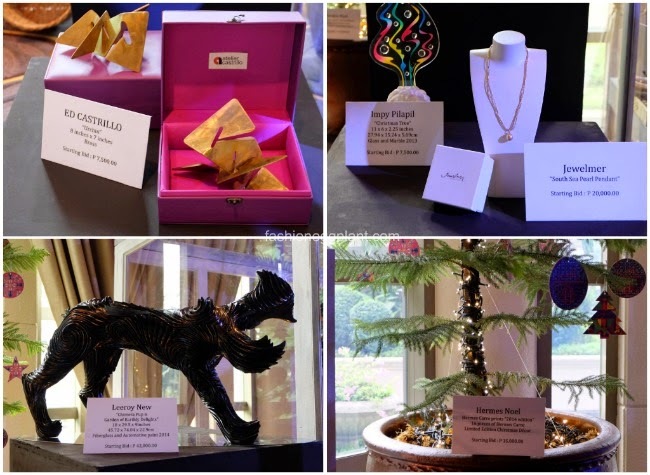 Bid on fresh Christmas trees designed by Greenbelt's premier retailers: a Celebration tree by Ana Rocha and Hermes tree decorated all around with Hermes scarves! and a South Sea Pearl pendant from Jewelmer. At Greenbelt's Christmas Station, shoppers can customize their own Christmas Basket and fill it with select beauty, food or apparel products from November 23-December 31. 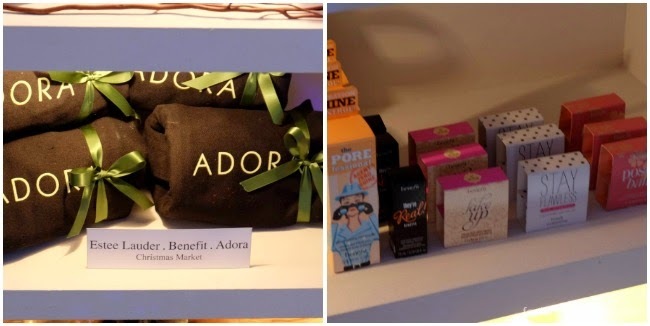 Top make-up brands like Benefit, Estee Lauder will be showcasing their latest offerings for Holiday 2014. As for shows, catch the Frankly Speaking Concert - a ballet featuring Frank Sinatra's greatest tunes. Headed by Steps Dance Studio director and founder Sofia Zobel-Elizalde, directed by James Laforteza and Choreograhed by Jeffrey Espejo, Jun Saagundo and Xernan Afonso. Performers include Step Dance Project's roster of gifted scholars, students and alumni along with New York dancer, musician and entertainer Omar Edwards and favorite primetime stars Piolo Pascual, Xian Lim, and Sam Milby! This Christmas season don't get lost in the frenzy of "just shopping". Make sure to also take the time to drown in the sights and enjoy the season by checking out these special displays and activities prepared for you by Ayala Malls. for more info, connect with Ayala Malls on Facebook and Twitter .